With constant updates and community creations, Minecraft is bigger, better and more beautiful than ever before. Explore amazing player-made maps, thrilling minigames and more! Band together with friends playing on phone, Windows 10 or console, set up your own online world with Realms*, or join one of the massive player-run servers*! There are so many ways to play! 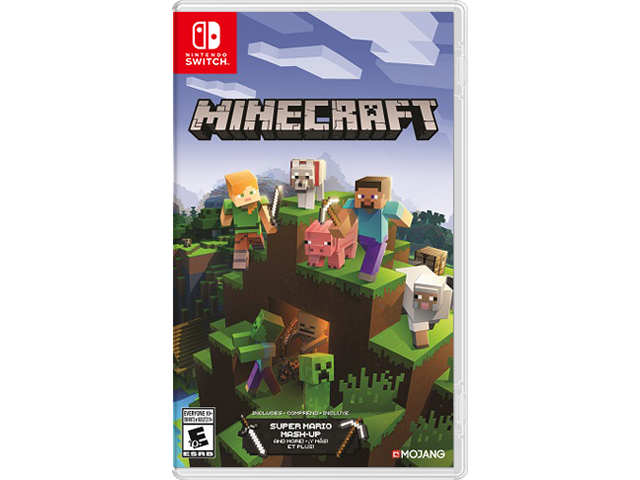 Note: Current owners of Minecraft: Nintendo Switch Edition will be able to upgrade to the new version of Minecraft by downloading it from Nintendo eShop for free! Realms requires paid subscription (sold separately). Realms and servers available as released. Free Microsoft account required for cross-play.